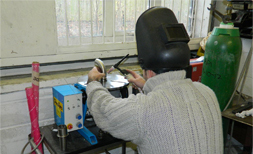 DIN hygienic unions to suit DIN metric tube are manufactured in accordance with DIN 11851. 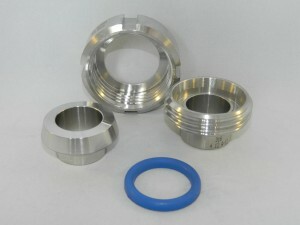 Consisting of a Tp304 stainless nut, Tp316 stainless male and liner and a seal ring. Available to suit metric tube DIN 10 to DIN 150. 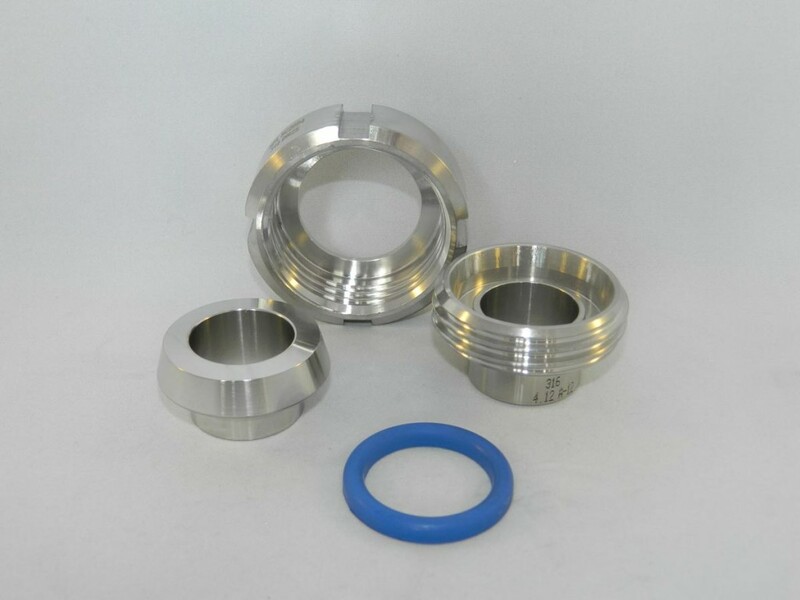 The ‘D’ shaped joint ring is usually EPDM, but other compounds are available. BDE stock a range of hinged and pressed ‘C’ spanners.